Lighting designers, behold! All Gel Packs are 20% off in March. 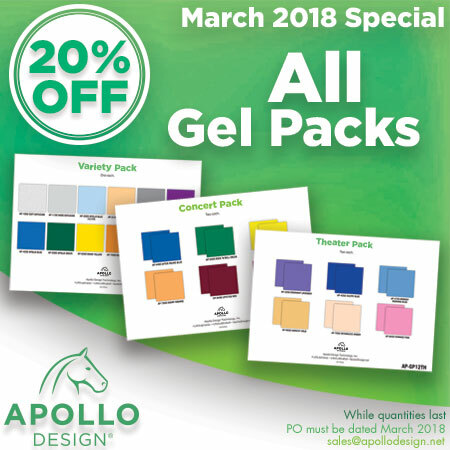 Apollo has 4 Gel Packs to select from: Concert, Diffusion, Theater, and Variety Packs. Check them out for big savings!